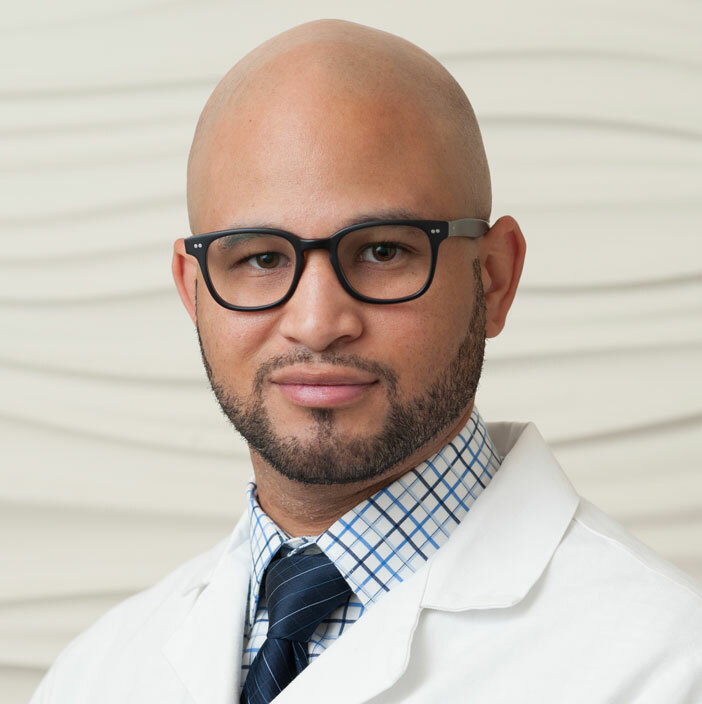 Dr. Alvin R. Wyatt, II is a native of Houston, Texas who now calls Southern California home and has been a member of the Hill Medical Corporation since 2018. Dr. Wyatt’s primary aim is to provide excellence in patient care with a focus on being comprehensive, efficient but, above all, compassionate and patient centered in his approach. An avid sports fan, Dr. Wyatt specializes in Musculoskeletal (MSK) Imaging and Interventions, having trained as a fellow in the world-famous Osteoradiology group established by Dr. Donald Resnick at the University of California, San Diego (UCSD) where Dr. Wyatt served as Clinical Instructor and Chief Fellow. At UCSD, Dr. Wyatt trained in all modalities of MSK Imaging by interpreting diagnostic studies and providing imaged guided diagnostic and therapeutic MSK procedures for both the general patient population well as elite juvenile, amateur, and professional athletes. Prior to fellowship, Dr. Wyatt received a B.S. in Human Biology at the University of Texas at Austin where he garnered University Honors, received an M.D. from the David Geffen School of Medicine at UCLA, and completed a Transitional Year internship at the Los Angeles County Harbor-UCLA Medical Center. Dr. Wyatt completed residency in Diagnostic Radiology at the University of Washington. He has also authored and co-authored numerous manuscripts and presentations which have appeared in the Journal of the American Chemical Society, Skeletal Radiology, the Journal of the American College of Radiology, Current Problems in Diagnostic Radiology, and meetings at the Harvard Clinical and Translational Science Center, Society of Interventional Radiology, Radiological Society of North America, American College of Gastroenterology, and American Roentgen Ray Society. Prior to coming to Hill Medical, Dr. Wyatt was on staff at the Scripps Clinic as well as the San Diego VA Healthcare System.